See below for classes for dancers ages 10-18. Class placement is extremely important; please contact us to assist in finding the best fit class for your dancer. This is a conditioning class designed for our competitive dancers but is open to anyone looking to improve their skills. The class focuses on strength training, balance, stretching, jumps, leaps, turns, and "tricks". You must be enrolled in at least one other class to take Company Tech. There is no Concert routine for this class. Requirements: Placement confirmed by instructor. Ballet is the core of all dance styles. 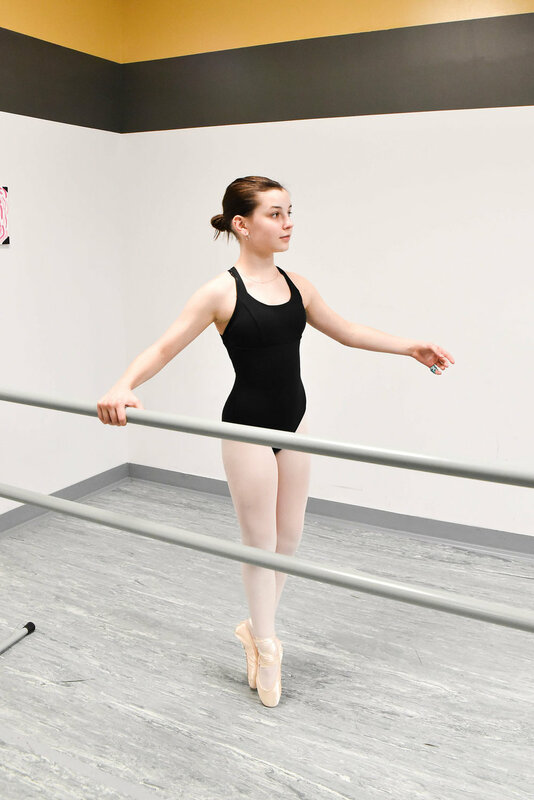 Our curriculum is focused on Classical Ballet techniques teaching balance, posture, articulation, poise, flexibility, coordination, timing, musicality, jumps, turns, and leaps. Advanced classes will have opportunities to learn Ballet Variations and Techniques. Training in Ballet is strongly encouraged for serious dancers, and is a requirement for participation in certain classes. Pointe training is the beginning of advanced level Classical Ballet requiring dancers to wear special "Pointe" shoes that enables the dancer to dance on the tips of their toes. Pointe training is for serious dancers that display both the physical capability and technique. A doctors approval may be required to clear dancers for Pointe. Dancers under 12 will not be allowed to advanced to Pointe regardless of technical ability; this is due to the underdevelopment of the bones in a dancers foot rendering them unfit to dance en Pointe without risk of serious or permanent injury. Requirements: 3-5 years Classical Ballet experience required. Ballet MUST be taken in addition to Pointe. 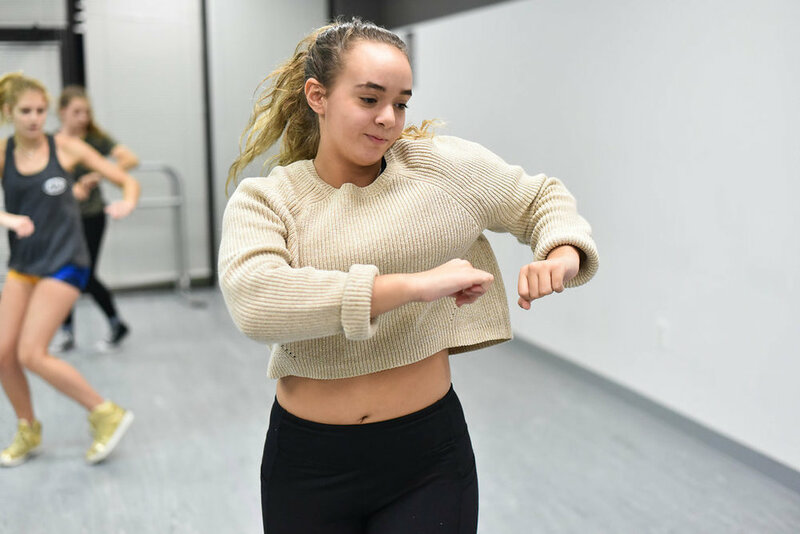 Various styles of this classic American dance genre are taught at our facility including Modern influenced fusions of Jazz, Pop-Jazz, Broadway style/Musical Theater, and Jazz Funk. 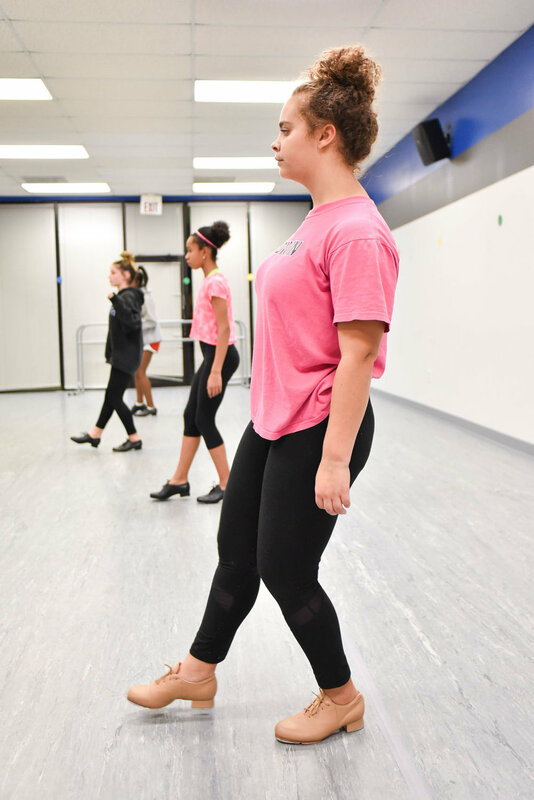 Strength, stamina, and endurance are developed as the students learn various Jazz dance styles in every level. It is recommended to take Ballet with Jazz. Requirements: Ballet or Jazz experience required. This is a beautiful fusion of ballet and modern dance was originally popularized by the idea of breaking the lines, poise, and fluidity that Classical Ballet demands while maintaining the same level of grace and strength in movement. 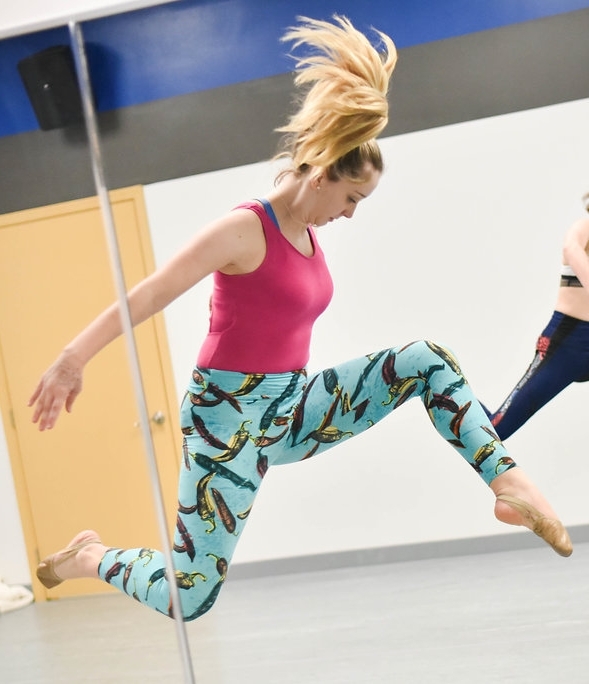 Our Contemporary classes combines the balancing, imagery, isolations, fall and recovery of Modern Dance as well as the expressive nature of Lyrical Dance. Requirements: Ballet, Contemporary or Jazz experience required. Hip Hop is an urban-based style of dance stemming for Hip Hop, Rap & R&B music culture since the 70’s. Its evolution in popular culture with music videos and pop culture icons makes it the dance craze kids can’t get enough of! Various elements of Hip Hop are demonstrated in this fun, high energy class. From old to new school, Hip Hop is a stylistic dance incorporating locking, popping, krumping, tutting, breaking, and freestyling. Tap is a classic, rhythmic dance style primarily using the feet. We incorporate various sub-genres of tap in our curriculum from Broadway/Musical Theater style, Rhythm/Hoofing, and Soft Shoe. Balance, timing, and coordination are focused on, while allowing the dancer to develop stylistic movement in Tap.